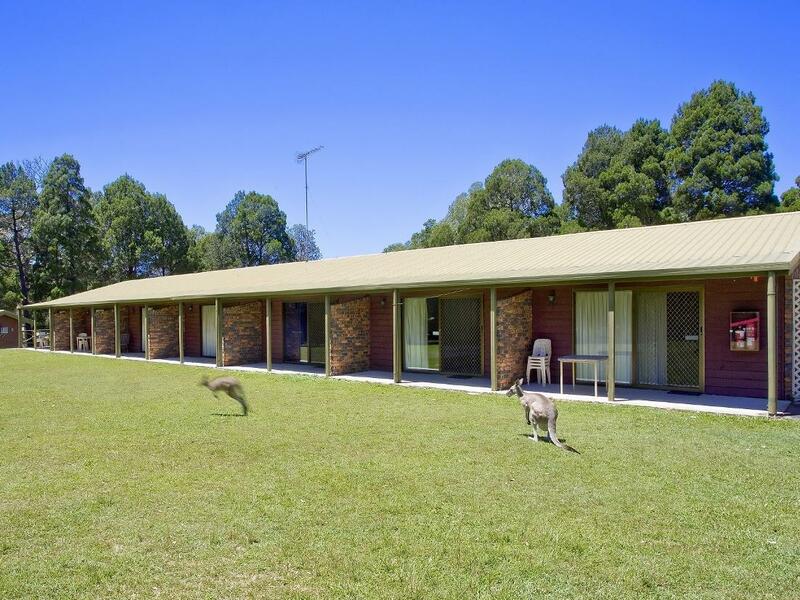 يشكل فندق Noosa North Shore Retreat بموقعه الممتاز في قلب Noosa North Shore نقطة انطلاق ممتازة لاستكشاف صن شاين كوست. يمكن من هنا للضيوف الاستمتاع بسهولة الوصول إلى كل ما تقدمه هذه المدينة النابضة بالحياة. سوف يعشق النزلاء موقع هذا الفندق، فهو قريب من أهم المعالم السياحية في المدينة كمثل Equathon Horse Riding Tours, Noosa Kitesurfing, Noosa District Sports Complex . يقدم Noosa North Shore Retreat خدمات لا غبار عليها وكل أشكال اللياقة وحسن الضيافة اللازمة لإسعاد ضيوفه. تتضمن الميزات الرئيسية في هذا الفندق: مرافق مخصصة لذوي الاحتياجات الخاصة, تسجيل وصول/خروج سريع, صف السيارات, غرفة عائلية, مرافق للشواء. 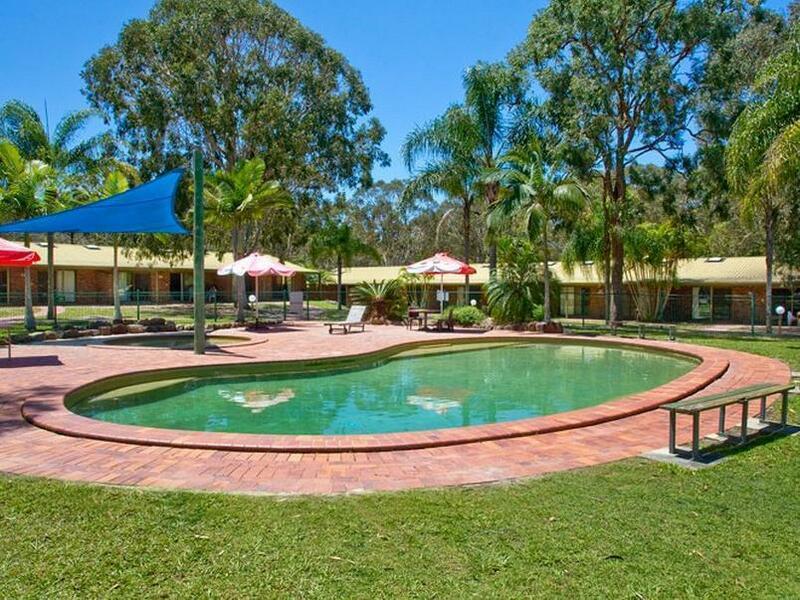 في Noosa North Shore Retreat غرف نوم يزيد عددها عن 48 صممت بذوق وعناية لتوفر لك كل وسائل الراحة . بعضها يحتوي أضاً على تلفزيون بشاشة مسطحة, غرف لغير المدخنين, مكيف هواء, ساعة منبه, تليفون. سواء كنت من محبي الرياضة أو كنت تتطلع لتفريغ عناء نهار صعب، ستجد خدمات ذات مستوى عالي بانتظارك كمثل حمام سباحة خارجي, ملعب للأطفال, ملعب تنس, حديقة, غرفة ألعاب. مهما كانت دواعي سفرك فإن Noosa North Shore Retreat هو خيار ممتاز لإقامتك في صن شاين كوست. مكتب الإستقبال مفتوح من 09:00 AM إلى 04:00 PM. الضيوف الذين سيصلون خارج هذا الوقت بطلب منهم التواصل مع العقار مباشرة قبل موعد الوصول لترتيب هذا الأمر. The units where we were placed are very tired and in need of some serious renovations. 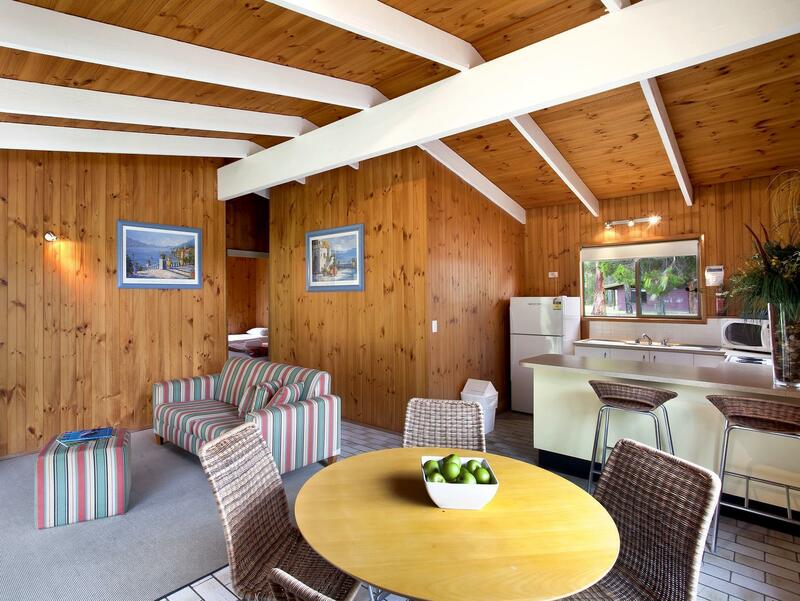 The cost per night does not coincide with the condition of the accommodation. There was an ant problem in the kitchen and we had to be very aware of making sure no food was left out. The outside patio areas were very dirty with lots of leaf matter and sand and dirt and a couple of pairs of old shoes. You couldn't wipe your feet on the mats are they were already filthy. I was glad we only stayed 2 nights. On the plus side, we enjoyed the pool and the retreat was very quiet with lots of bird life and kangaroos and ducks. We stayed there as our family was staying in the caravan park on the beach side and we were visiting with them. Probably would stay on the mainland next time and travel across on the ferry to visit family. I honestly didn’t think accommodation like this still existed in modern Australia, not at least for the prices they charge. This is without question the worst accommodation I have ever had the misfortune to stay in. Thankfully, it was only for one night. I’ll start with a positive. The lady serving in the ‘retreat’s’ bar was very pleasant and helpful. That’s where the positivity ends. Our chalet/cabin was dated, dirty, broken and had no redeeming features whatsoever. The age-old taps leaked, blinds were threadbare, screens ripped, settee stained and filthy, door on the shower cubicle was non-existent and there was an overwhelming odour that can only be described as not dissimilar to cat urine, although I have no idea what it actually was. We were genuinely gobsmacked at the state of this place, not to mention the pothole-riddled road that led up to the chalet area. Just wish I’d read some reviews before we went. Don’t make the mistake we did, find somewhere else! We stayed here recently for a wedding and when we booked the room we were excited based on the room pictures and facilities. When we arrived that changed very quickly. Our $220 a night self contained 1 bedroom garden view apartment was incredibly disappointing. The room itself was very dirty and old with heavily stained carpets, no air con and a fan that only worked on level 3. The dial came off when I tried to turn it down. Both the exterior and interior was run down and very dirty but the worst part was the bathroom. The toilet cistern was bent and open (eww! ), the shower head sprayed everywhere except on me & fell down when trying to shower and the bathroom light only worked when the exhaust fan was on. There was a loud tapping sound (thinking pipes?) all throughout the night which meant we got no sleep. All in all it was awful. The place needs some serious renovation if they want to continue to charge those prices and it needs a really good clean. Would not recommend at all. We stayed in Bush Cabin, surrounds were picturesque!! Although BBQ, didn't work, fly screens in cabin broken, sliding door didn't lock, cabin needed vacuuming, could only get one digital channel on tv, other channels broke up constantly. Cockroaches when you turn light on at night, running all over. Really needs some love & attention immediately !!!! The place and staff were really nice. 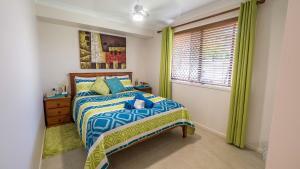 But the bedroom and toilet were not completely clean, the same happen with the swimming pool. Bit dated, kitchen was in the hallway so not the greatest design but we had 6 people comfortably stay there (not bedrooms just rooms) was great money for what we were after and were very pleased. Need a short ferry ride ($7 per car/ trip) over the Noosa River, so it is not so convenient moving in and out. Booked a 2 bedroom cottage. The toilet is badly maintained- cabinets are rotting off. We also have a hard time getting the air con working. One of their house rules- All dishes and kitchen items are to be left in the condition and location which you found them. An additional cleaning charge of up to $100 will apply if housekeeping are required to complete these tasks for you. >>> sound quite strict & intimidating.